The functionality of the BPF Indicator feature in the IC-746Pro and IC-7400 is identical to that in the IC-756Pro series, except for the display. Instead of the BPF icon, various filter passband icons are displayed, as shown in the following screenshots (images courtesy George, W5YR). Fig.1: 800Hz non-BPF. BW icon: long baseline. Fig. 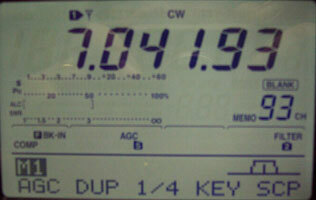 2: 800Hz non-BPF. Trapezoidal BW icon. Fig.3: 450Hz BPF. BW icon: short baseline. 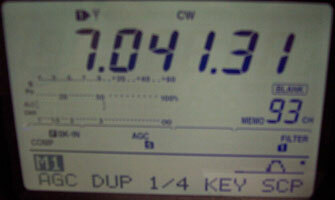 Fig.4: 450Hz BPF. Keystone BW icon. Fig.5: 500Hz non-BPF. * = set via Twin PBT. Fig. 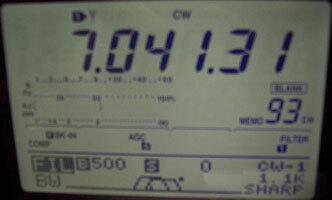 6: 500Hz non-BPF. Trapezoidal BW icon and *. On the IC-746Pro filter selection screen, the exact equivalent of the BPF Indicator is a short baseline below the BW (IF passband icon) in the bottom section of the display. This is illustrated in Figure 3. 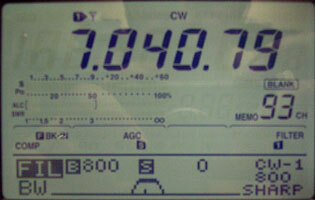 On the IC-746Pro operating screen, the exact equivalent of the BPF Indicator is a keystone-shaped IF passband icon in the bottom right-hand corner of the display (above SCP). This is illustrated in Figure 4. 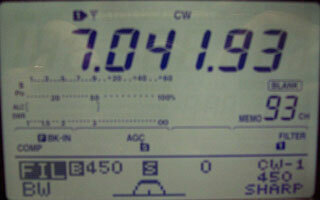 On the IC-746Pro filter selection screen, a long baseline below the BW (IF passband) icon in the bottom section of the display indicates a non-BPF shape factor. This is illustrated in Figures 1 and 5. 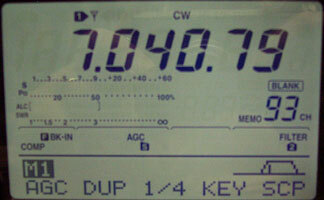 On the IC-746Pro operating screen, a trapezoidal IF passband icon in the bottom right-hand corner of the display (above SCP) indicates a non-BPF shape factor. This is illustrated in Figures 2 and 6. For the case described in Note 5 above, the operating screen will show a trapezoidal IF passband icon with the asterisk to the right of it. If the Twin PBT controls are offset to reduce the bandwidth of a filter which already has a BPF shape factor, the screens will be similar to those in Figures 5 and 6 except for a short baseline in the filter selection screen and a keystone-shaped passband icon in the operating screen. Click here for further information on the BPF Indicator feature. Also refer to the IC-746Pro User Manual, pages 50 & 52.